A big new dormer was added on to this 1921 bungalow in Seattle's Wallingford neighborhood to create a master suite. The existing central stair down was retained, but its flimsy guardrail was replaced by a wall of bookshelves. New French doors allow the study to be closed off from the master bedroom if one person is working while another wishes to sleep. 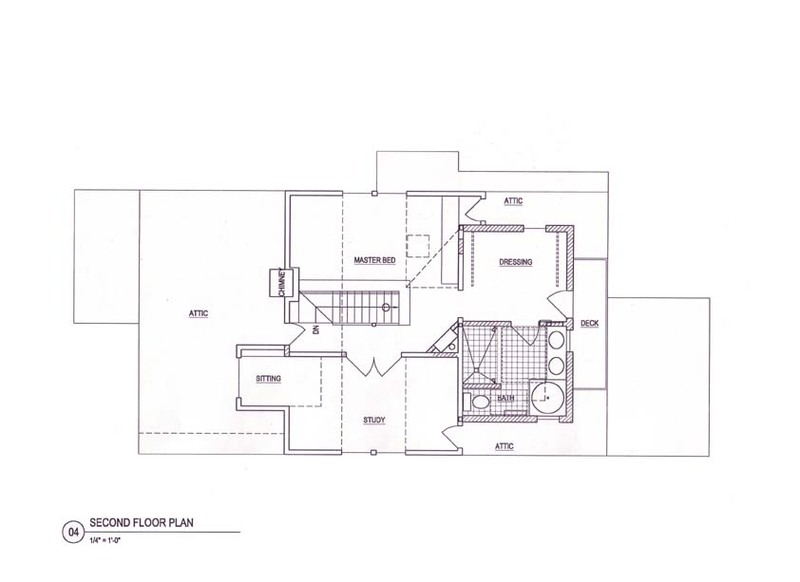 The compact bathroom features a walk-in shower with two heads, a Japanese soaking tub, and a toilet with a control arm. The two sinks share a vanity cabinet, but one looks at a mirror while the other looks out a window. The dressing room closet system is adapted from one used in retail clothing stores, its supports a thin slit recessed in the face of the wall. A door opens onto a balcony where the couple can enjoy morning tea. Ecological features include a gas fired tankless water heater, recycled cellulose insulation, and a natural wax sealer on the refinished fir flooring. Certified Built Green 3 Star.